I know y’all must be tired of me complaining about the weather….. But it’s HAWT IN HERRE!!!!!!!!!!!!! But I can’t help it! I’m a SoCal wussy when it comes to weather and I am dyyyyiiiiinnnnggg. 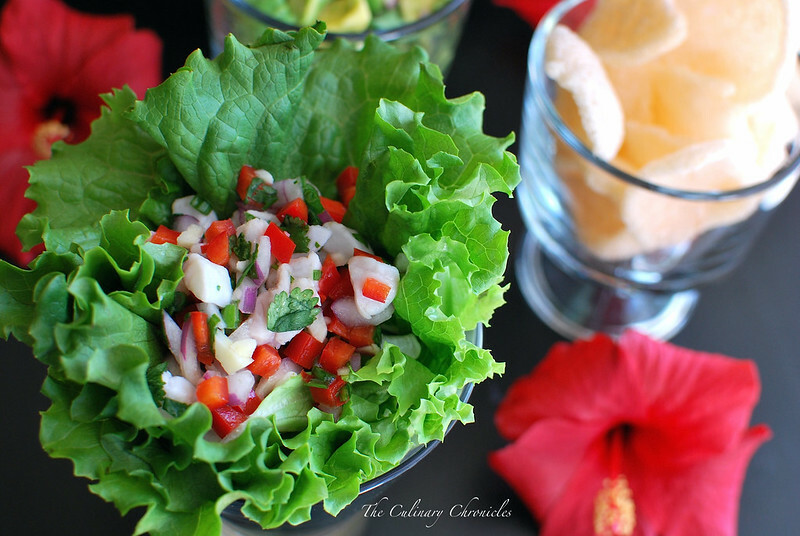 But before I pass on to the afterlife, let me pull this oldie but goodie out to share with you that is an absolute MUST during the summer— Ceviche de Pescado. 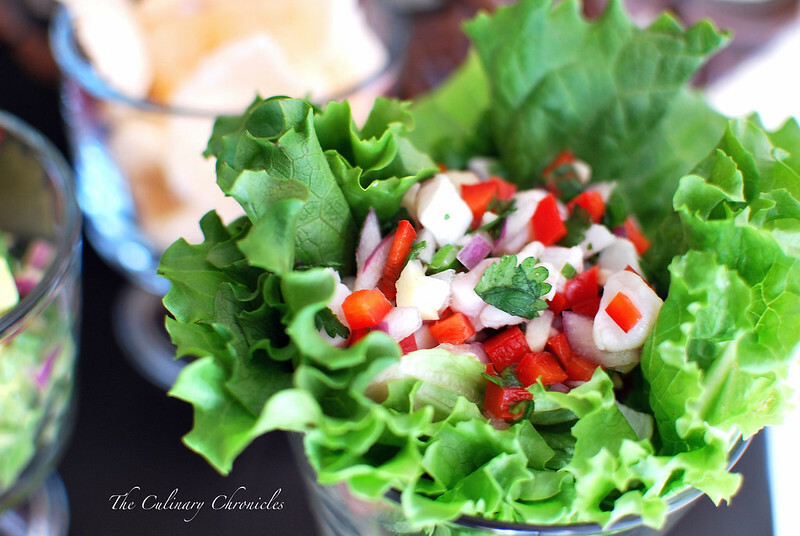 Ceviche of all sorts is quite popular in my neck of the woods having its roots in Mexican and Latin cuisines. It’s essentially a dish comprised of fish (or other seafood) that is “cooked” in citrus juice and spices. Since the acidity from the citrus “cooks” the fish, there’s no needs to crank on the stove or oven to make this little number—which is one of the reasons it’s perfect for warm days. 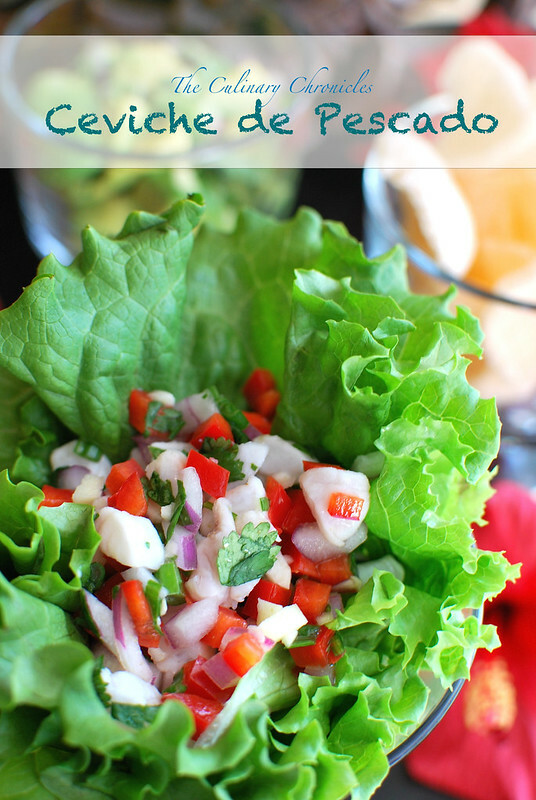 This time around I used a basic approach with the ceviche but depending on the region of Latin America, you can add just about anything such as corn, sweet potatoes, plantains, or even a tomato sauce. I also chose to use red snapper for this batch but any fresh, white fish will do……or even shrimp, scallops, octopus–the ocean is the limit! But one thing is a must…..since you’re not using any heat in the preparation of this dish, you have to use the freshest proteins you can get your hands on. Sashimi grade labeled fish or products from a trusted fishmonger is generally a safe bet. But when in doubt—smell it. If it smells fishy–skip it. Oh…in case you were worried, my puggle turned on the air conditioner while I was passed out and I miraculously sprung back to life. In a large, non-reactive bowl, gently combine the fish, orange juice, lime juice, lime zest, serrano chili, garlic, bell pepper and red onion. Cover the bowl and refrigerate for 60 minutes. The fish should turn white and opaque. Drain and discard all but ¼ of the liquid from the bowl. Fold in the cilantro, tomatoes, cumin, coriander, cayenne, and olive oil. Adjust seasonings with salt and pepper. Serve immediately with additional lime wedges, hot sauce, diced avocados, and tortilla chips. Previous Post Belgian Beer Mussels…. You’re Welcome.